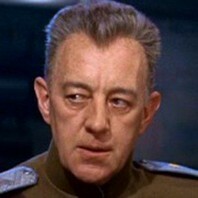 Commander Shears : [ to Nurse ] You give me powders, pills, baths, injections, enemas; when all I need is love. Major Shears : You make me sick with your heroics! There's a stench of death about you. You carry it in your pack like the plague. Explosives and L-pills - they go well together, don't they? And with you it's just one thing or the other: destroy a bridge or destroy yourself. This is just a game, this war! You and Colonel Nicholson, you're two of a kind, crazy with courage. For what? How to die like a gentleman... how to die by the rules - when the only important thing is how to live like a human being. Colonel Nicholson : One day the war will be over. And I hope that the people that use this bridge in years to come will remember how it was built and who built it. Not a gang of slaves, but soldiers, British soldiers, Clipton, even in captivity. Colonel Saito : Be happy in your work. Colonel Nicholson: Now, there's another important decision that can't be postponed. As most of the British soldiers will be working on the bridge, only a small number will be available for railway work. So, I must ask you, Colonel Saito, to lend us some of your own men to reinforce the railway gang, so that the final stretch of track can be completed as quickly as possible. Colonel Saito: I have already given the order. Colonel Nicholson: We must fix the daily work quota for your men. At first I thought of setting it at a yard and a half, so as not to overtire them, but don't you think it would be best if we make it the same as the British soldiers? That would also create a healthy competitive spirit. Colonel Green: As I've told you before, in a job like yours, even when it's finished, there's always one more thing to do. Colonel Nicholson: I tell you, gentlemen, we have a problem on our hands. Commander Shears: I can think of a lot of things to call Saito, but reasonable... that's a new one.